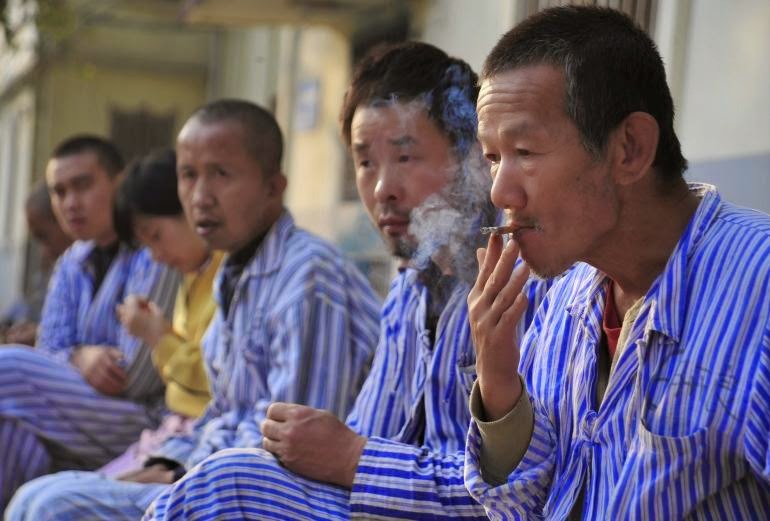 Mental health treatment in China: still in the dark ages? Stigma and shame still feature highly in attitudes towards mental illness among the public - and even among family members of patients, a survey carried out at one of China's leading psychiatric hospitals has revealed. Guangzhou Psychiatric hospital was the first mental health treatment institution set up in China and is still one of the largest and most 'progressive' units in the country. Last year, researchers surveyed 87 doctors and 162 nurses at the hospital and 137 family members of people with mental illness, as well as 150 members of the public. They found, unsurprisingly that medical staff tended to have enlightened views about mental illness - that it has biopsychosocial causes and may best be dealt with in community treatment. However, relatives of patients and the public tended to hold the traditional view that mental illness was something that should be treated in institutions and that patients do not belong in the community. There was also support for involuntary treatment of mental illness. In rural areas there were also more superstitious beliefs that mental illness might be caused by curses, devils or bad luck. The researchers said the negative attitudes held by family members might arise because they lived in close proximity to people with mental illness and had to cope with them in isolation as there was little community or health service support for mental illness. "Families must should much of the burden of mental illness alone,"they wrote. "The results draw attention to the crucial issue of what has been called "family burden" the painful, often debilitating and health-endangering experience of caring for seriously mentally ill family members’ day in and day out. These experiences may be especially strong in Asian countries such as China in which the family, rather than the state or society, has a heavy burden of responsibility for mentally ill relatives, extending even to fiscal responsibility for their occasional damage of neighborhood property or criminal conduct." The findings support provision of respite care for mentally ill people in China, "that gives family members some distance from the problems of their relatives and support in their care," the researchers concluded. Thanks for the feedback - will do paragraphs!